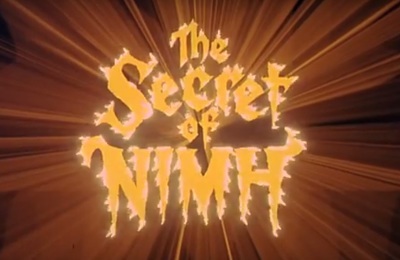 The Secret of NIMH is an animated fantasy film released on July 16th, 1982. It featured the voice talents of Elizabeth Hartman, Derek Jacobi, Arthur Malet, Dom DeLuise, Hermione Baddeley, Shannen Doherty, Wil Wheaton, John Carradine, Peter Strauss, and Lucille Bliss. Is Disney releasing Star Wars Movies too close together?